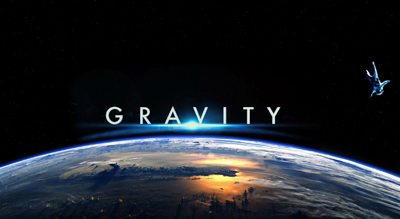 Only 81% of survey respondents believe what scientists say about gravity. What are the other 19% thinking? When it comes to gravity, Republicans and Democrats are both on the same page. 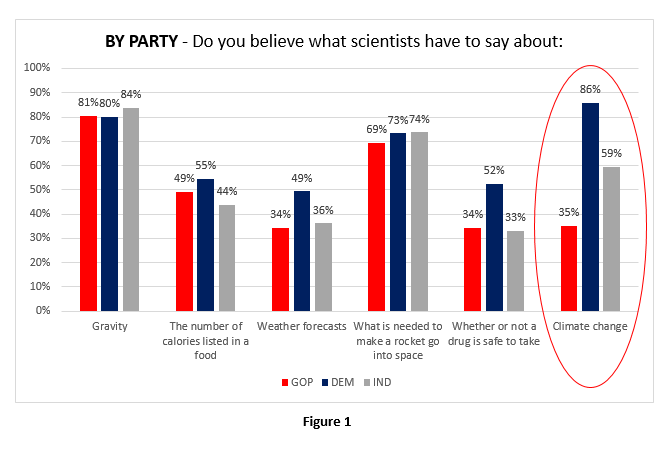 Republicans have less faith in weather forecasts, whether or not a drug is safe to take, and yes, climate change. It seems that Republicans have more trouble with scientific knowledge if it is sanctioned by the government. Only 34% of Republicans believe weather forecasts, even though data indicates that 48-hour forecasts from the National Weather Service are remarkably accurate. A similar number of Republicans believe information about whether or not a drug is safe, which might in part explain why Republicans are not so supportive of the Federal Drug Administration (FDA). Contributions from pharmaceuticals might also influence Republicans (and Democrats) in Washington. But as might be expected, in our survey, Republicans were less than half as likely to believe what scientists say about climate change (35% to 86%). A clear question is whether or not Republicans are just skeptical of scientists who write about climate change, or if this is a different kind of “learned behavior?” Is their thinking influenced by church teachings? What about what Republican office-holders say? If that is so, does it mean that campaign contributions from fossil fuel companies to Republican candidates have a “trickle down” effect of polluting the thinking of rank-and-file Republicans on climate change? This question is one for further exploration. 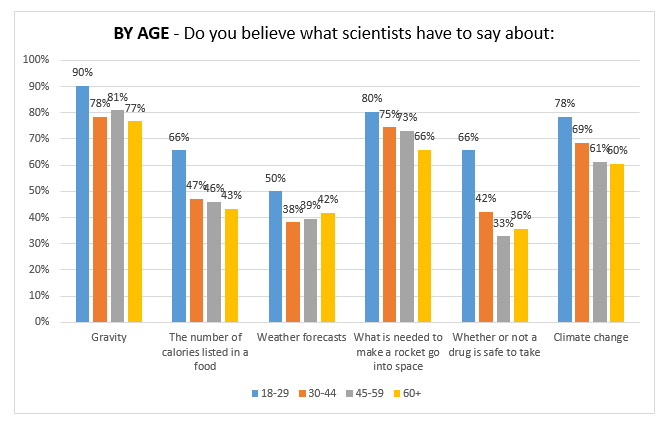 Did the people in the other three age brackets used to have more faith in what scientists said when they were younger? Will the current group of 18–29 year olds have less faith in science as they get further removed from school? If so, why? A final finding is very tentative because of sample size. But we found that the African-Americans who took the on-line survey showed less belief than others in what scientists say. 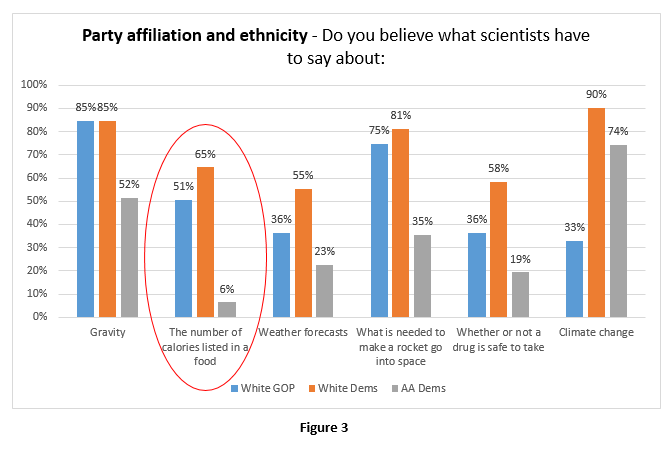 Most profoundly, only 6% of African-American Democrats believe that the number of calories listed for a food is accurate. The sample size of African-Americans was only 50, so this will certainly require more study. But the most vexing question is the one we cited first. Why do so many people not believe what scientists say about gravity. To try to answer that question, we refer them to several experiments on gravity conducted by non-scientist David Letterman in 1986, while dropping “stuff” off a “five-story tower” in New Rochelle, NY. Previous Post:Democratic [and Republican] caucuses are not very democratic.